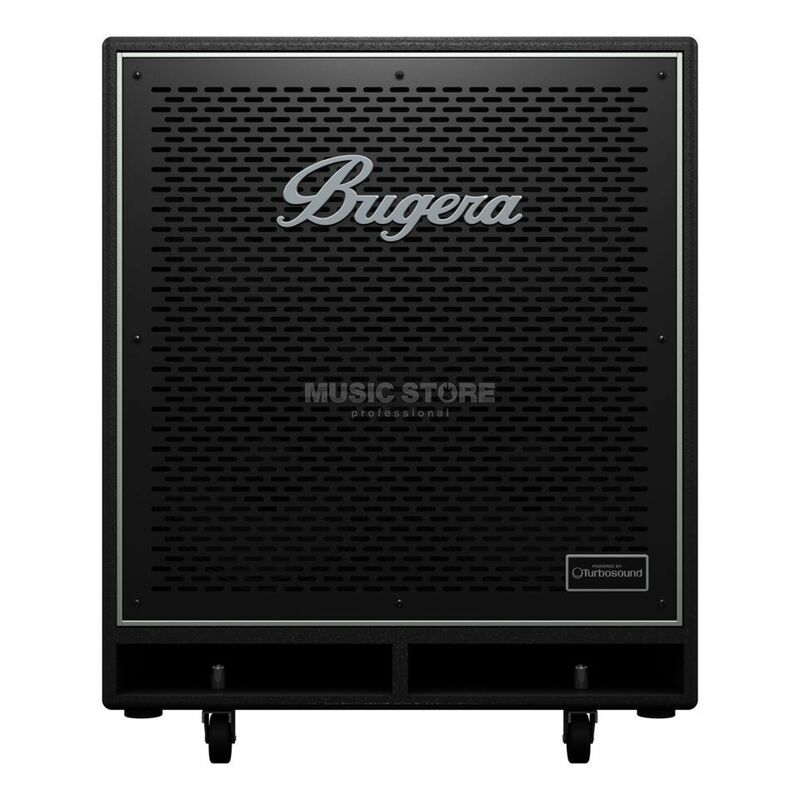 The Bugera BN410TS Bass Guitar Cabinet is a lightweight 1000-Watt cab from Bugera’s powerful bass cabinet range. The BN410TS is an accomplished counterpart for the Bugera 3,800-Watt BTX36000 true bi-amping stereo bass head or BVP5500 and BVV3000 tube amps but is also consistent with any other bass guitar cabinet in the world. The Bugera BN410TS boasts 4x10” custom-made TURBOSOUND LF drivers and a tailor-made adjustable 1” HF driver to ensure great low and hi-end resolution is projected with every note. 1000 Watts of compelling and authentic bass tone and an extremely durable yet lightweight enclosure, a shock-proof metal grill with reinforced corners, high quality components, recessed carrying handles and integrated rollers for safe and effective transportation secures the BN410TSas a fantastic bass guitar cabinet for the gigging musician.